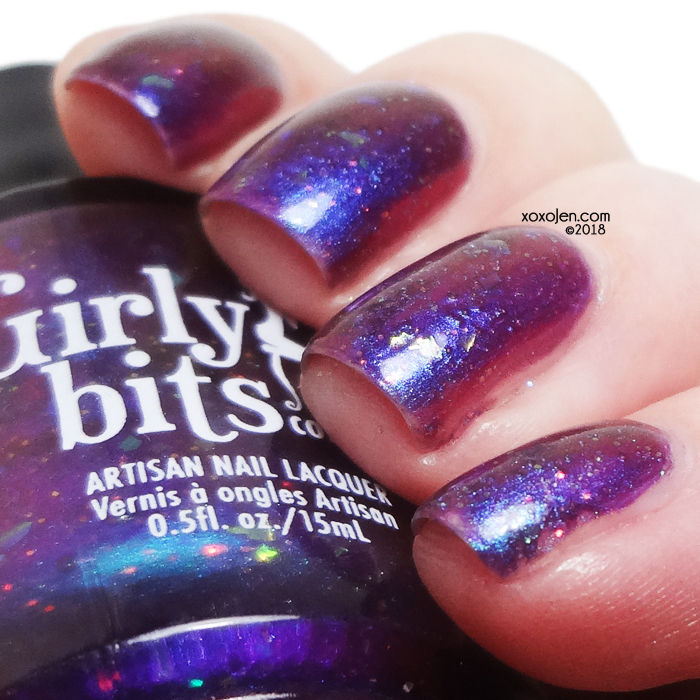 Girly Bits' contribution to the upcoming Polish Pick up is inspired by Rainbow Hematite (which is magnetic). Law of Attraction is a strong multi-chrome which shifts vividly from a vibrant fuchsia, to violet, through teal and navy blue, with added iridescent glitter with a copper/gold/green shift, green/copper/violet iridescent flakes. I wore two coats with topcoat. The formula was smooth with easy application. 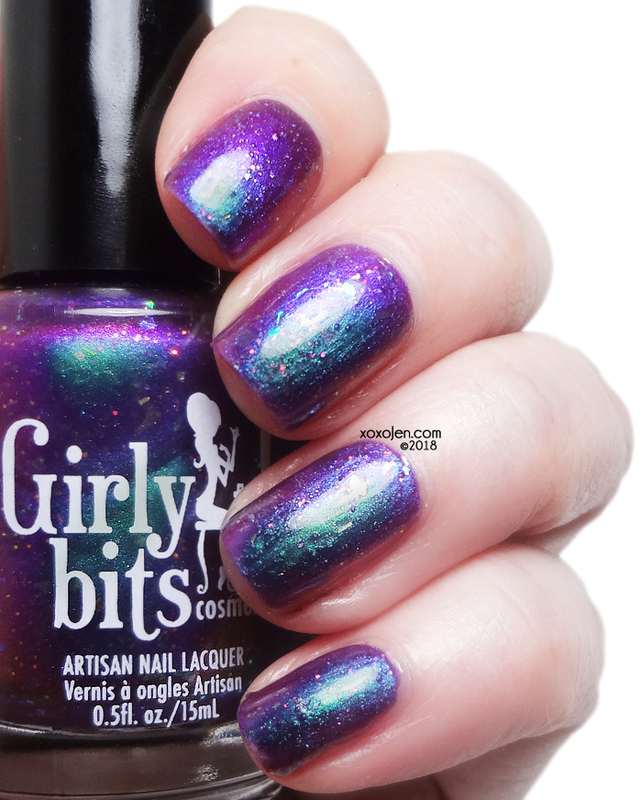 Such a stunning shifty polish! See how it changes in all the images?! 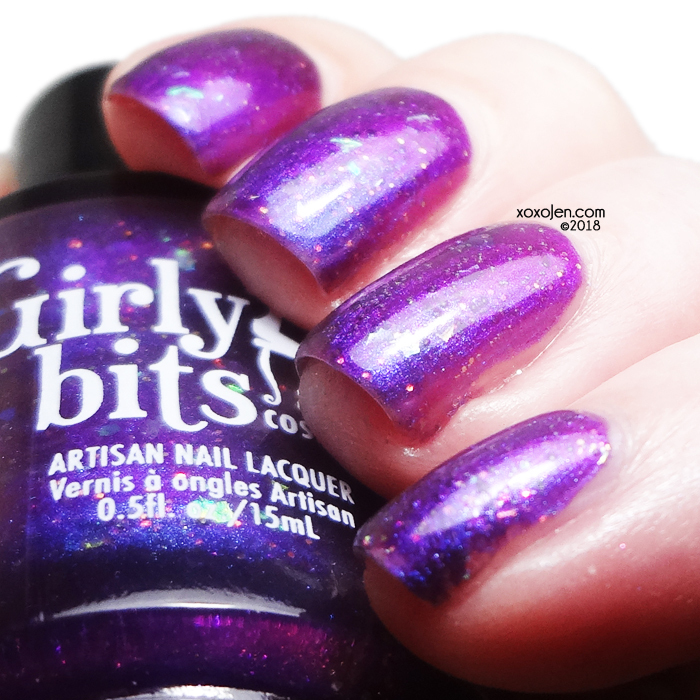 The utter magic that is Law of Attraction by Girly Bits. Somehow it manages to be purple, teal, pink and coral all at the same time. and with shifty flakes!